The US Supreme Court on Monday rejected an appeal by the former Democratic governor of Illinois, Rod Blagojevich, who gained notoriety by trying to sell the US Senate seat vacated by Barack Obama in 2008. 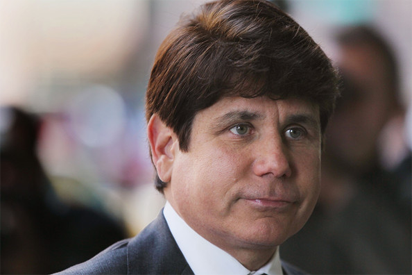 Blagojevich, 61, is serving a 14-year sentence after being convicted in 2011 of corruption charges related to the attempt to sell the Obama senate seat “to the highest bidder,” as the prosecutor put it. It was the second time that the Supreme Court has declined to take up an appeal by Blagojevich, effectively confirming a sentence that puts him behind bars until’s 2024. The post Ex-governor who tried to sell Obama’s senate seat loses appeal bid appeared first on Vanguard News.